Today time planning is really important part of our lives. It gives us a lot of advantages: greater efficiency & productivity, no missed deadlines, you work smarter but not harder. 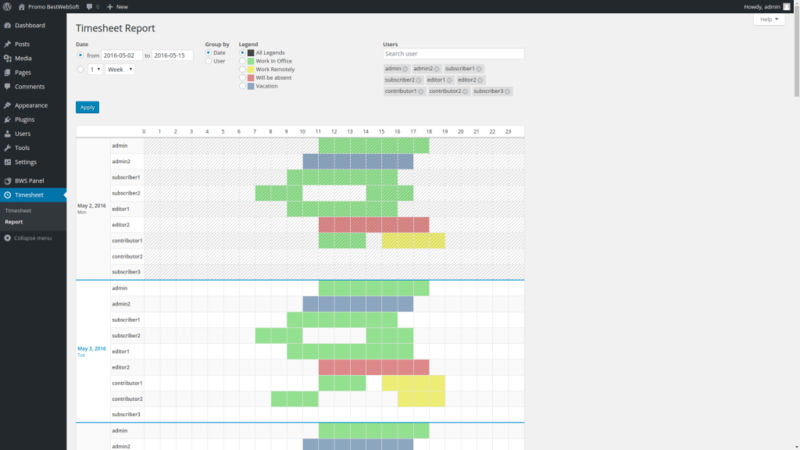 Timesheet plugin will help you to plan your time and be in touch with your team. This useful tool provides all the necessary for you to plan projects, see who’s doing what, monitor progress, and these things matter for successful teamwork. In this article we will share some useful hints about timesheet usage. Plan your time in advance. Plan your schedule marking own availability. Sharing your work hours with co-workers is a good thing for team interaction. If necessary, you can Create/edit schedules accurate to 5 min. Create as many statuses as you need. They can be added in a few clicks on the plugin settings page. You can create them to mark some projects, or where you work, or anything else you’d like to be marked in schedules. Check the report page to see how many time is spent for some certain work. This will help you to measure the productivity. Share report page access to other users. Enable “Email Reminder” option on the plugin settings page to inform users who forget to fill out their schedules. Emails are sent automatically, just specify sending frequency and the content of the email. Tracking time is sufficient process which help to do the job better. 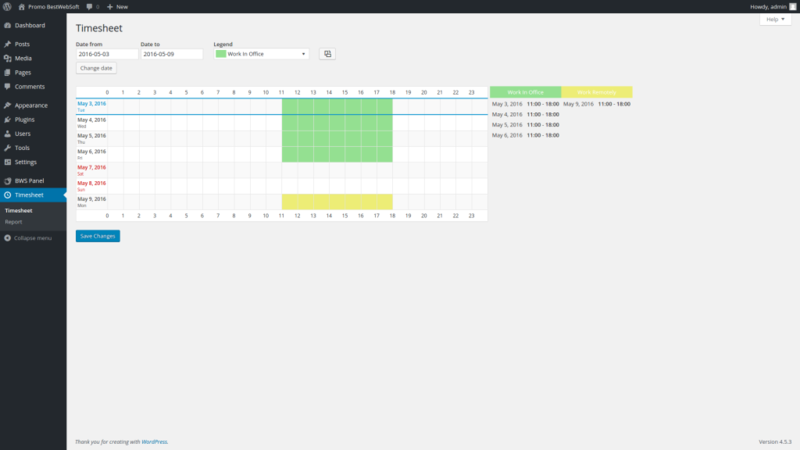 Timesheet plugin is the best way to track time for you and your team via WordPress dashboard and stay productive! 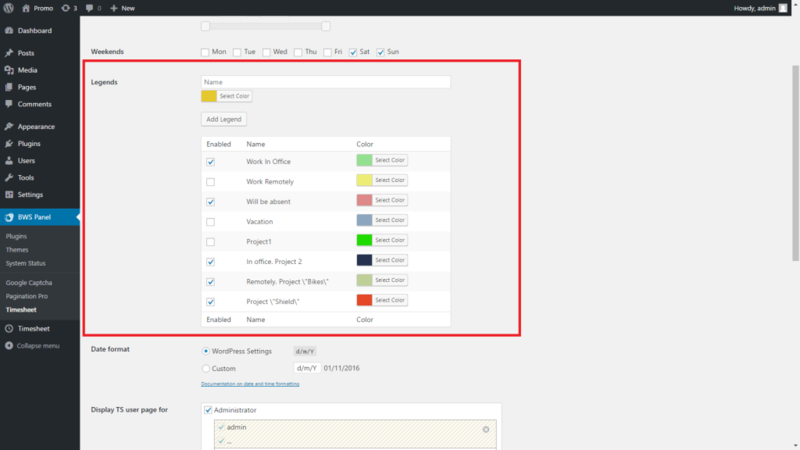 Which WordPress Widgets Should You Display in Your Sidebars?